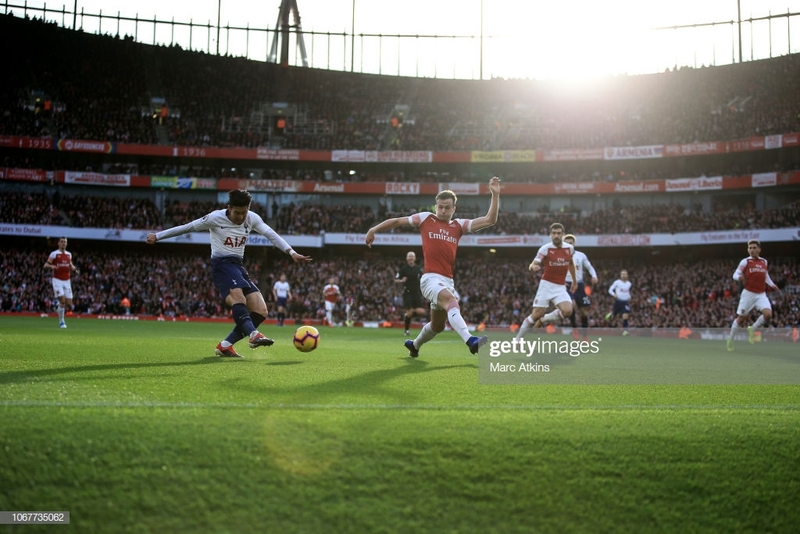 Tottenham Hotspur vs Arsenal Preview: Can Spurs turn around their awful form or will the Gunners make it the double over their rivals? It's north London derby time again and this time there is three huge points on the line as both sides battle out for a top four place. Tottenham Hotspur host their north London rivals, Arsenal in Saturday's early kick off. Spurs come into the game on the back of two disappointing results against Burnley and Chelsea. Whereas, fortunes have turned for the Gunners and a victory would see them move a point behind the Lilywhites. The two sides have already met twice this season, both at the Emirates Stadium in the league and Carabao Cup. Unai Emery's side turned around a 2-1 half time deficit in the Premier League clash as the Gunners ran out 4-2 victors. Pierre-Emerick Aubameyang, Alexandre Lacazette and Lucas Torreira all netted in the second half to complete the comeback. However, later on in December, Spurs secured a semi-final place in the Carabao Cup with a 2-0 win at the Emirates. Hueng-min Son and Dele Alli provided the goals which sent Spurs through in what was just their second ever win at the Emirates. Tottenham remain without Dele Alli who is continuing with his rehabilitation from a hamstring injury. Eric Dier also remains sidelined through illness. Jan Vertonghen and Harry Winks will undergo late fitness tests as both are said to be suffering with knocks to their hips. For the visitors, Laurent Koscielny and Stephan Lichtsteiner have both returned to full training following their respected injuries. Pochettino spoke from Hotspur Way on Friday and said his players know what this fixture means to the fans. "Of course to motivate for this type of game is an easy job. We don’t need to motivate them," he said. It is a must win game for Spurs as they look to regain their healthy advantage on the Gunners. "We know very well what it means to play against Arsenal. We know that we’re going to be very motivated and we’ll have a team in front that is very motivated too. "We’ve played twice against them this season. One Premier League game at the Emirates that we lost, another in the Carabao Cup that we won. "Of course it’s going to be tough, the third game of the season against Arsenal. They have very good players, they are doing a very good job," Pochettino finalised.